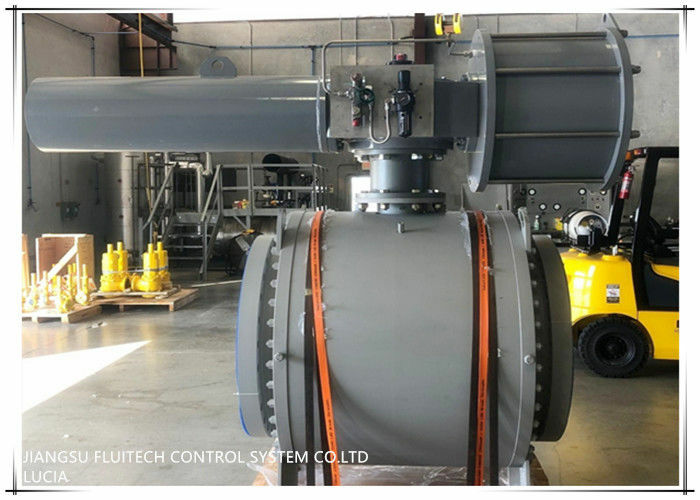 1.1 This service procedure is offered as a guide to enable general maintenance to be performed on FLUITECH DRG Double Acting and Spring Return Series Pneumatic Actuators. 1.2 Normal recommended service interval for this actuator series is five years. NOTE: Storage time is counted as part of the service interval. 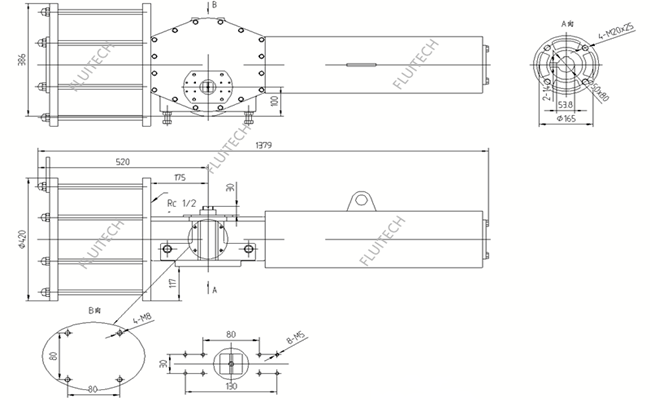 1.3 This procedure is applicable with the understanding that all pneumatic pressure has been removed from the actuator. 1.4 Remove all piping and mounted accessories that will interfere with the module(s) that are to be worked on. 1.5 This procedure should only be implemented by a technically competent technician who should take care to observe good workmanship practices. 1.6 When removing seals from seal grooves, use a commercial seal removing tool or a small screwdriver with sharp corners rounded off. 1.7 All parts should be thoroughly inspected for excessive wear, stress cracking and pitting. Attention should be directed to threads, sealing surfaces and areas that will subjected to sliding and rotating motion. CAUTION: Actuator parts that reflect any of the above listed characteristics should be replaced with new parts. 1.8 FLUITECH recommends that disassembly of the actuator modules should be done in a clean area on a workbench. 1 WARNING: If not observed, user incurs a high risk of severe damage to actuator and/or fatal injury to personnel. 2 CAUTION: If not observed, user may incur damage to actuator and/or injury to personnel. 3 NOTE: Advisory and information comments provided to assist maintenance personnel to carry out maintenance procedures.